The Coolpad Quattro II 4G fixes the sluggishness that plagued the original Coolpad Quattro, and generally offers a reliable Android experience. Coupled with Ting's flexible plans, the $198 Quattro II is a solid value and good choice for an entry-level Android smartphone. Ting isn't for everyone, but prospective customers are ostensibly concerned primarily with costs. To that end, the Coolpad Quattro II 4G offers a solid Android experience for not a lot of money. If you're coming from Sprint, though, Ting lets you activate your existing phone, as long as it's a supported model. The Coolpad Quattro offers a lot for its $149.99 price point. You get a good piece of hardware, solid LTE 4G performance, and a usable version of Android. It's not without a few faults, though. Despite good network performance, the Quattro suffers a bit when it comes to voice calls thanks to an anemic earpiece and so-so audio quality. I was expecting somewhat better battery life, and the Gingerbread system software felt sluggish at times. If you want to listen to music, watch some videos, or play some games, the Quattro is a great media device. The same can't be said of the Quattro's ability to capture media, which is about the worst I've seen this year. MetroPCS offers a handful of LTE 4G smartphones at the same price point of the Quattro, and each has its pros and cons, but the Quattro is definitely a better buy than the Activa 4G. Despite the solid call quality and 4G LTE data speeds, both the phone and Coolpad have a long way to go. And instead of coming out with a bang, Coolpad debuted more with a whimper. 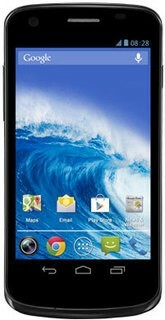 The Quattro 4G has frustratingly low-end specs, and its Android 2.3 Gingerbread OS is a real letdown. 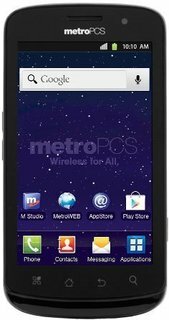 If you want a 4G LTE prepaid device on MetroPCS, consider the LG Motion 4G instead. 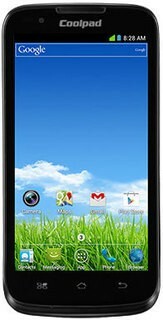 It has a dual-core processor, a 5-megapixel camera, runs on Android 4.1 Ice Cream Sandwich, and most importantly, it's the same price as the Quattro. I bought this phone brand new from a local cell phone and have regretted the purchase ever since, phone only receives calls 30% of the time, poor wifi signal, takes forever to charge. what a piece of junk, Coolpad has no support...don't waste your money buying this phone! I love how user friendly the phone is. Bad phone fritz, self reboot, when you are using the browser get you out the browser. this phone has been bug prone since i got it! also charging port is horrible b/c chord doesn't clip in all the way which has made me go through charges like crazy. now phone won't charge and i can't use it!! I should get a free replacement but warranty just went out lol my luck!! its so slow!!! I cant wait til i can get a new one! Visit the Yulong Q&A Forum to get answers, ask a question or help others.